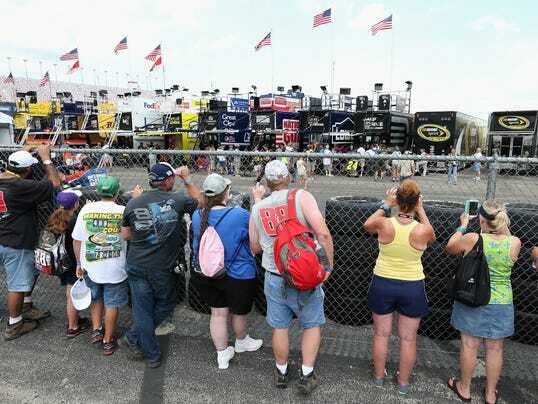 SPARTA, Ky. – Ask any fan how many drivers are in a NASCAR race and they’ll immediately answer: 43. It’s been that way since 1998, when NASCAR standardized the field size for each race after it previously fluctuated based on the track. 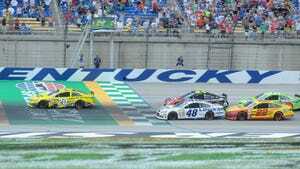 But that won’t be the case Saturday night at Kentucky Speedway. For the first time since the 2001 New Hampshire Motor Speedway race was moved because of the Sept. 11 terrorist attacks, there will be only 42 cars to start the Quaker State 400. 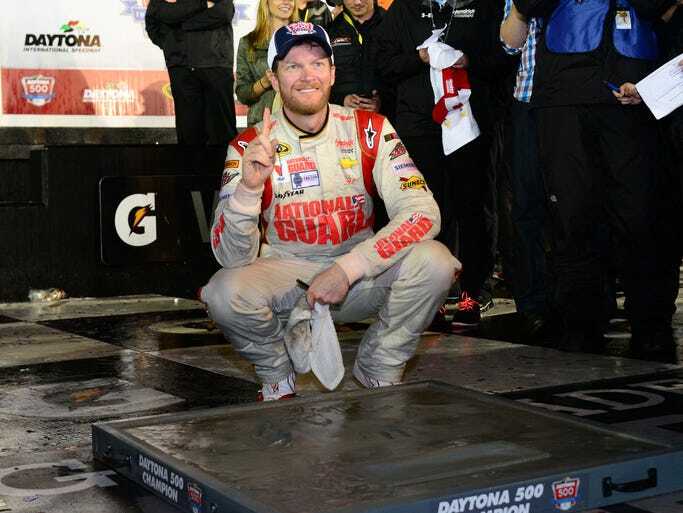 NASCAR, though, doesn’t believe a smaller field is an indictment of the sport’s health. In that 2001 New Hampshire race, 43 cars qualified for the event, originally scheduled for Sept. 16. But when the race was moved to Nov. 23, at the end of the season, only 42 cars showed up (one team had closed down). It’s been even longer since a full field didn’t show up to qualify. In the September 1996 race at Dover, only 41 cars qualified from a 42-car maximum field. Drivers said Friday they’re not worried about the short field. Six-time champion Jimmie Johnson said he “hated to see it,” but noted NASCAR has double the car count of many other major racing series. “There’s that prestige of having 43 since way back, but I don’t think it has any bearing on the strength of our sport,” Johnson said. “When I look at all the markers our sponsors look at and why they’re partners on our race car, things are going in the right direction. Four-time champion Jeff Gordon said times – and costs – have changed in NASCAR. Teams are still asking a lot of the sponsors, he said, while attendance has diminished. A late entry from BK Racing appeared on the updated entry list at Kentucky Speedway on Friday morning, which briefly put the number back to 43. But backmarker team Xxxtreme Motorsport (J.J. Yeley) withdrew from the race Friday morning, citing internal politics, which left NASCAR with 42 cars. With the addition of Mike Bliss, BK Racing now has four drivers (rookies Alex Bowman, Ryan Truex and Cole Whitt among them) in the field at this 1.5-mile track. The 42 entries are a far cry from the mid-2000s, when NASCAR regularly sent a half-dozen cars home on a weekly basis. That number peaked at the 2007 Daytona 500, when 61 cars showed up – meaning some well-funded teams missed the race. These days, there are typically only one or two cars sent home – if that. NASCAR has been flirting with a short field for more than a year. 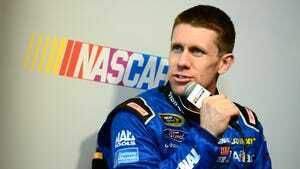 NASCAR and the drivers believe the competition is better than ever despite fewer cars showing up. Some people point to quality over quantity. Three years ago, there were more cars but also an abundance of start-and-park teams who would show up and quit after a few laps. These days, start-and-parkers have become scarce. The last time a driver start-and-parked was the April 12 race at Darlington Raceway.